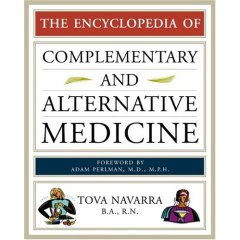 There are many books on alternative medicine, but not many can be considered quick reference guides. This encyclopedia has 400 entries covering terms, organizations, and personalities related to the field. Entries vary in length from one-sentence definitions to multipage essays. The shorter entries can be frustrating, and some of the longer ones, less than complete. One example is the entry Bates Method for improving eyesight. There is a brief explanation of the relaxation system and of Bates' credentials but no description of the exercises. Some entries on individuals give little or no information about their relevance to the field of alternative or complementary medicine. On the other hand, the Yoga article provides in-depth coverage of the discipline, giving a brief history, the basic principles involved, and descriptions of the 26 branches of yoga. Another article that would have benefited from the same treatment is ayurveda. A description is given, but there are no cross-references to related entries (Chakra, Doshas) that provide additional details. The lack of illustrations is limiting; even line drawings of things like acupuncture pressure points would have added value to the book. The appendixes include a list of professional and lay organizations, a list of herbs used in herbal treatments, and a time line of alternative and complementary medical history.